May turned out to be a really good month. I read more traditional books than usual, and quite a few comics, too! It was a good mix of formats and genres, so let's see it! I read Citizen: An American Lyric, by Claudia Rankine, in a couple of sittings...some of which played out during a bout of insomnia. It's a crime that I haven't written a review about this yet because I cannot stop thinking about it. 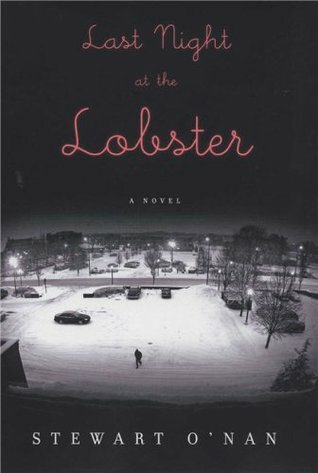 Last Night at the Lobster, by Stewart O'Nan, was not my cup. Read my cranky review. 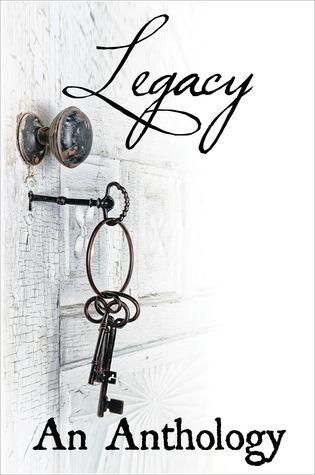 Legacy: An Anthology, from Velvet Morning Press, was a good read, and I was happy to have Adria J. Cimino on the blog for an interview. 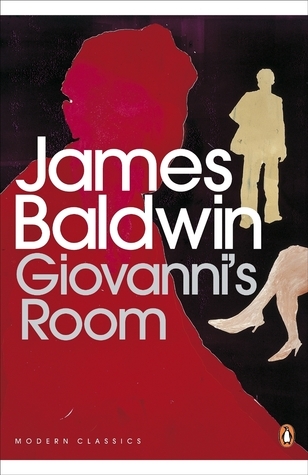 Giovanni's Room, by James Baldwin, was stellar. Beautiful writing and a gripping story. It filled my head and heart up. 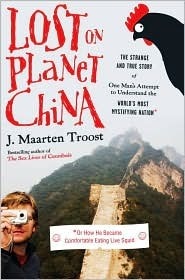 Lost on Planet China, by J. Maarten Troost, was fun, irreverent at times, and still managed to teach me about China's history and present day. 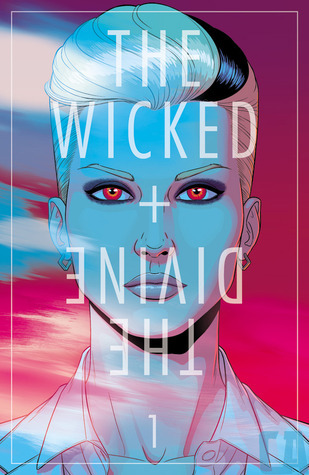 I read the first issues of The Fade Out and The Wicked + The Divine for Free Comics Day. I'm hooked. I'll have to get the trades of both. 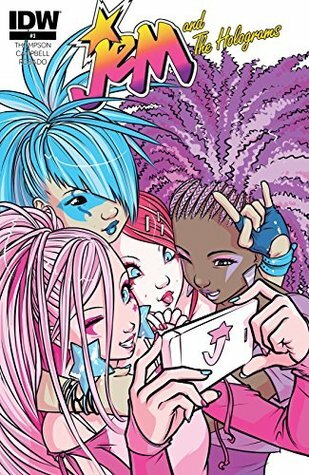 Jem and the Holograms #3 still has me hooked on the series. 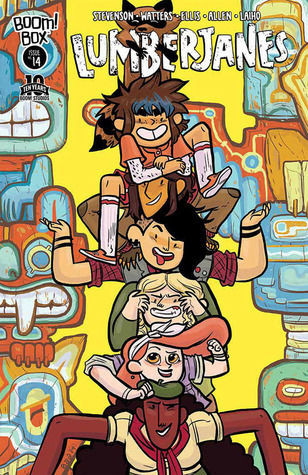 Lumberjanes #14 was delightful as always. 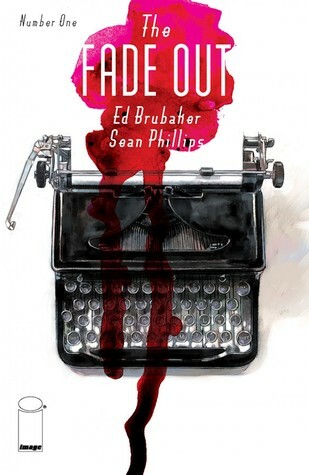 I really really enjoyed this particular romp. 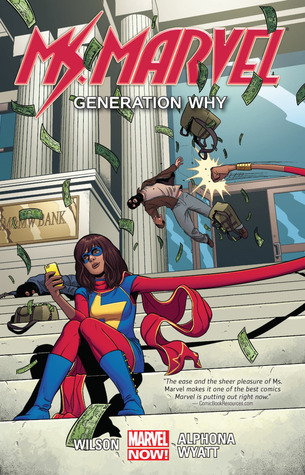 I gulped down Ms. Marvel: Generation Why (volume 2) just yesterday! Have you read any of these? Recommendations for things I should pick up based on these winners? I'm super intrigued by Nimona! It seems everyone is loving it! Is Lost on Planet China a graphic novel? Hooray for a great reading month! 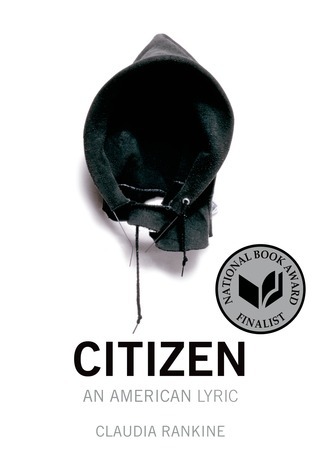 I hope to read Citizen soon - I appreciate books that will make me think for a long time after I finish them. Wow--that was a nice pile of eclectic reading!!! The only ones of those that I've read are Ms. Marvel and The Wicked + The Divine. The hubby really loves Troost's books, and I've always meant to give them a try, but haven't got around to it. You've left me mighty intrigued about Citizen--eager to read your review, as I know absolutely nothing about it. So many of those look great! Happy June reading! Good to hear regarding Citizen - that's on my to-read list. I should probably also re-read Rankine's book Plot, which I acquired in college because she visited my poetry workshop class. Trooooooost! I'm saving this one for a week when I need the giggles. 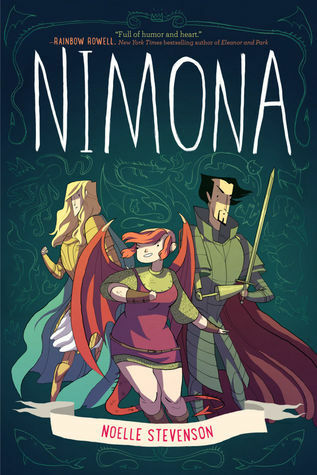 I really need to check out some of your graphic novel and comic selections- Nimona looks way fun! Nimona looks good! I just put a hold on it at the library - looking forward to reading it! Citizen is waiting for me at the library right now! So, I need to read pretty much ALL of those comics. Looks like you had a great month!